Ahead of next week’s NAB 2016 technology conference in Las Vegas, that runs from April 18th to April 21st. GoPro has this week officially unveiled its new GoPro Omni camera which has been specifically designed for virtual reality applications. 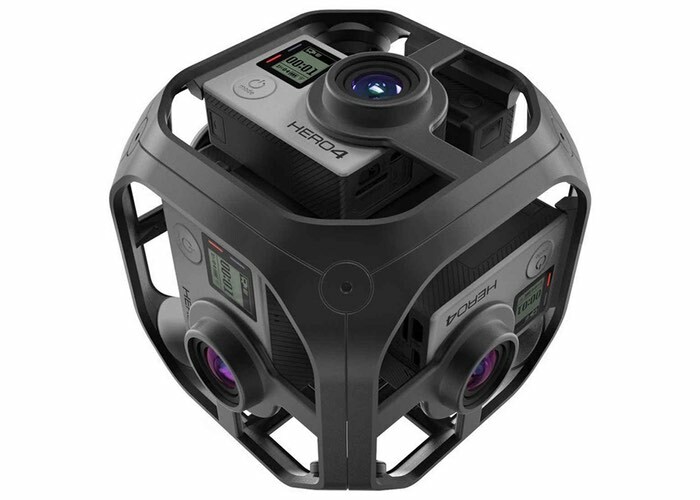 The GoPro Omni camera takes the form of a spherical array of six Hero4 Black cameras and includes extra proprietary hardware located in the centre of the cube that allows the Omni to synchronise all six cameras together to create a fully immersive 360 degree image. You can expect more details about pricing and availability to be made available next week during NAB, but to give you some idea of the cost, six Hero4 Black cameras will set you back a cool $3,000 without the extra technology included in the centre of the device or the frame. The GoPro Omni has been designed to be combined with the virtual reality software created by Kolor, who were acquired by GoPro back in April 2015. The software created by Kolor allows users to combine the footage captured by the Omni into a unified 6K spherical image. 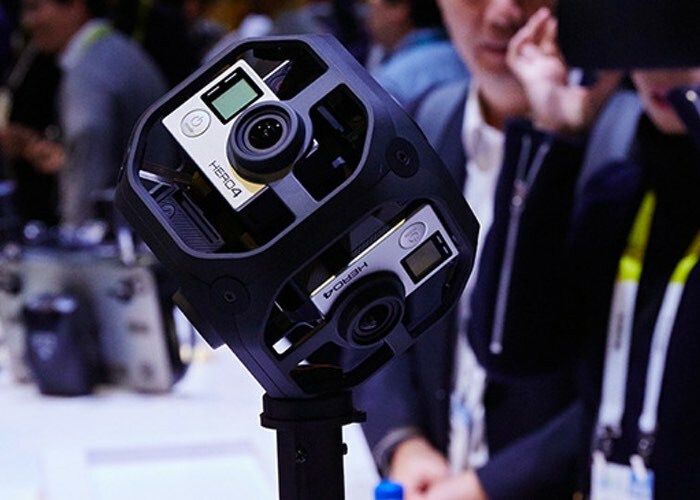 One system that has not been publicised of late is the GoPro 16-camera Odyssey system that was designed to work specifically with Google’s Jump platform and expected to cost around $15,000. GoPro was considering launching this system in November 2015 but the company has been very quiet about its development and possible launch. As soon as more specifications for the GoPro Omni Camera rig are released next week during NAB 2016 we will keep you updated as always.